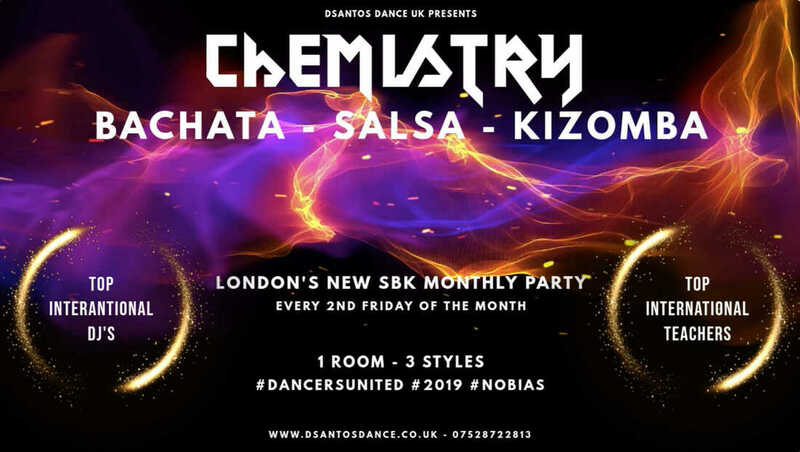 Salsa, Kizomba & Bachata in London! Its more than 'just' dance! Every week is like a festival at Dsantos Dance UK! ​Join us for fantastic dance classes in london! Our dance lessons in London are so much more than 'just' dance. 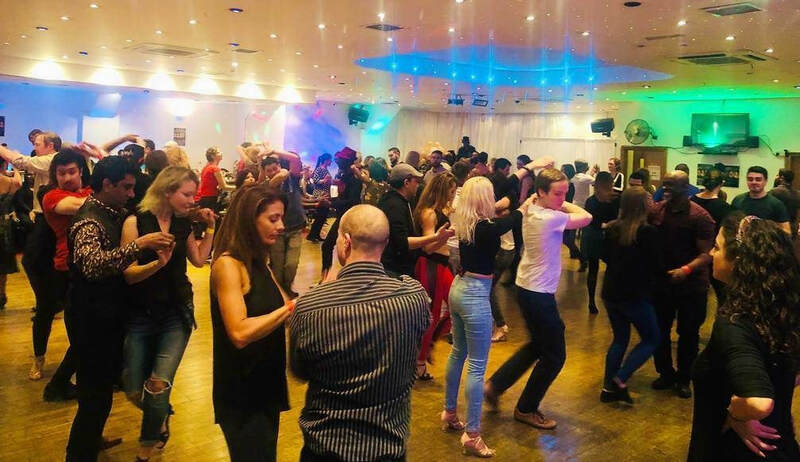 Joining us for dance classes in Salsa, Bachata or Kizomba is a quintessential London nightlife activity and while you're having fun you'll be making friends, meeting new people, keeping fit and stimulating yourself mentally without even realising it. It beats both the pub and the gym any day of the week! Join us for our great dance lessons and reap the extra benefits. Dancing and the socially positive environment created have all been shown to foster improved fitness, balance, posture, coordination, flexibility, stress relief and emotional wellbeing. You'll be asking yourself why you didn't start sooner. Join us every Tuesday and learn the most famous of the latin dances....Salsa! - 1 Room - 3 Styles: Salsa, Bachata & Kizomba!